Hand-mined, Himalayan Pink Salt is one of the purest salts available. 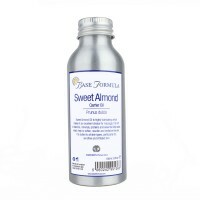 Rich in health-enhancing minerals this therapeutic salt can be blended with essential oils, carrier oils and other cosmetic bases to make your own aromatherapy bath salts. Himalayan Pink Salt is hand-mined from ancient sea beds that existed over 250 million years ago before the Himalayan Mountain Range was formed. Protected by layers of lava, snow and ice the crystallised salt beds have been kept in pristine condition, and protected from modern day pollution. This extraordinary salt, which gets its beautiful pink, red colour from iron oxide, is believed to be one of the purest salts in the world. It has been used therapeutically for thousands of years, and was once called 'King Salt' as it was reserved only for royalty. In keeping with tradition, Himalayan Pink Salt is still hand-extracted, hand-selected, hand-crushed, hand-washed, and dried in the sun, without any mechanical intervention. Himalayan Pink Salt contains a wealth of minerals and trace elements that have a wide range of nutritional and therapeutic benefits. When consumed or used regularly it is believed to help balance electrolytes and regulate the body's hydration levels; balance pH and neutralise stomach acid; support digestion and help the body to absorb nutrients; eliminate toxins; promote stronger bones and connective tissue; aid muscle regeneration; increase circulation and regulate blood pressure. It is also often used for sinus irrigation, and in crystal lamps to purify the air. 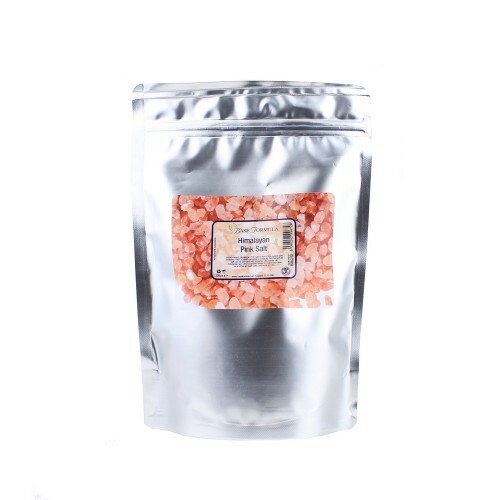 Our Himalayan Pink Salt is ideal for combining with essentials and carrier oils to make your own aromatherapy bath salts. When dissolved in water the salts create a healing mineral infusion that is absorbed into the skin. This not only soothes, hydrates and nourishes the skin, but also aids detoxification and relieves sore muscles - leaving you feeling relaxed and revitalised. The salt can also be used in therapeutic foot soaks and exfoliating body scrubs. This premium quality salt is suitable for culinary use and internal consumption and can be used for making 'Sole' (pronounced Solay) - a fully saturated solution of water and salt, that has been clinically proven to increase hydration, and stabilise pH and oxidative stress in the human body. To make your own Sole please see the Recipe Tab. Please note that this product will be shipped in an aluminium foil pouch. Upon receipt we recommend you store your salt in a cool, dry place, in a non-metal, air-tight container.